NIA CHARLESTOWN NEVIS (November 16, 2018) — The Nevis Investment Promotion Agency (NIPA) will get a shot in the arm, now that amended legislation giving it greater autonomy to attract investment to Nevis, was passed at a sitting of the Nevis Island Assembly on November 15, 2018. The Nevis Investment Promotion Agency (Amendment) Bill, 2018 was first brought before the assembly by Hon. Mark Brantley, Premier of Nevis and Minister of Finance, on October 04, 2018. He stated that the amended legislation would give the agency the necessary tools to attract investors and investment to Nevis. “The object of the Bill is clear. It is to amend the Nevis Investment Promotion Agency Ordinance and to create an entity, the Nevis Investment Promotion Agency, which is fit for purpose, which is designed now to allow those who work there the necessary tools to go out to the world and to bring home the investment, to bring home to Nevis the requisite foreign direct investment that the island needs,” he said. The new legislation replaces the Nevis Investment Promotion Agency Ordinance, Chapter 6.12 (N). Mr. Brantley referred to the amendments made to the legislation as important paragraphs which point the way in which the Nevis Island Administration (NIA) hopes to take the agency. Under the revised legislation, the agency will now be headed by a Chief Executive Officer. NIPA will now consist of three functioning arms responsible for specific areas: the Nevis Financial Services Sector, to promote Nevis as an attractive destination for investment, and to facilitate investment development applications. The new legislation also changes the management structure of the agency. Instead of the chairperson of the management team being a member of cabinet, the Permanent Secretary in the Ministry of Finance or a financial advisor in the ministry will now hold that position. A representative with knowledge and expertise in finance, economics or a related field shall be nominated to serve on the team by the Minister of Finance, and also one representative with knowledge and expertise in planning and development will be nominated by the Minister of Physical Planning. The private sector will be represented by two persons, one with expertise in business development and the other in financial services. The Minister of Finance will select the individual with expertise in business on the advice of the St. Kitts and Nevis Chamber of Industry and Commerce, while the second person with expertise in financial services will be nominated by the Minister of Finance. A member of the St. Kitts and Nevis Bar Association will also be on the management team. The agency, which has been in existence since 2008, was designed through legislation as a gateway for investment into Nevis. 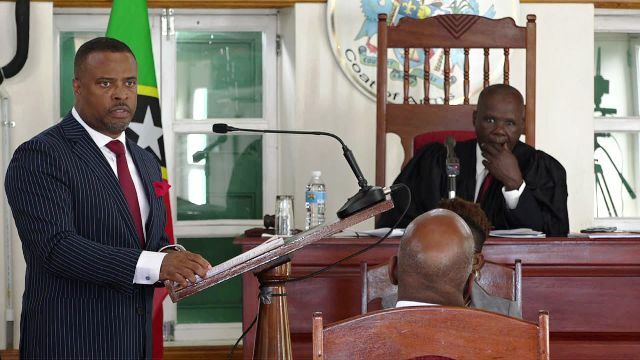 It was charged with finding investment, interacting with investors, and bringing the investments to the fore to the benefit of the people of Nevis. As part of the reformulation, NIPA will be funded from monies generated through services rendered; money appropriated by the Nevis Island Assembly for the agency’s purpose; money borrowed and property paid to them by way of grants, fees, subsidies, donations, gifts, charges, rent, interest and other income derived from the investment of their funds; any money derived from the disposal of or dealing with real or personal property held by NIPA; money borrowed under the ordinance or derived from financial accommodation extended to NIPA under the ordinance; a two percent levy on the net income of entities operating in the financial services sector that are licensed by the Minister of Finance; 10 percent of the planning fees collected by the Ministry of Communications for approved plans for development in the commercial sector, and all other money lawfully received by or made available to the agency. The legislation was passed unopposed and was supported by Hon. Hazel Brandy-Williams and Hon. Spencer Brand.